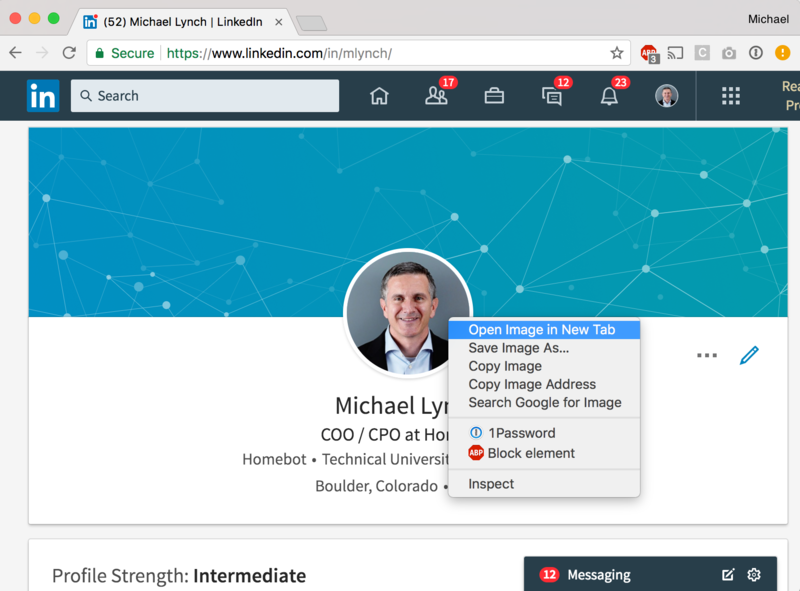 This article describes how you can add your personal photo to your Profile using the "Photo URL" feature. It's nothing more than a web URL that goes specifically to a photograph! Basically, any time you see a picture on a webpage, that picture has a unique URL that points specifically to it. 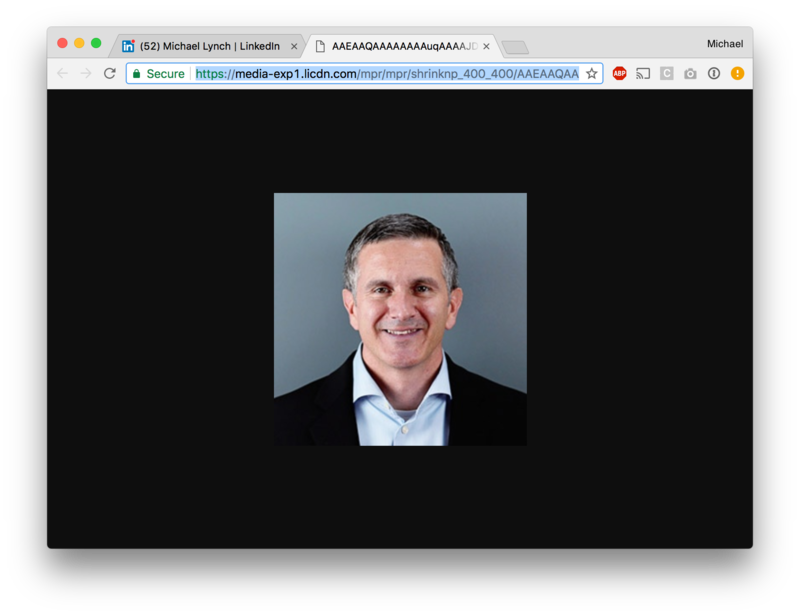 For example, your LinkedIn photo has a URL that, if I know it, will take me straight to your picture -- and only your picture. These are important because this is (currently) the only way to have a picture of you show up on all your clients' Homebot Digests! Yes, it's that important. :-) (Btw, before you ask, yes, we will be adding a Photo Uploader feature soon, but the Photo URL is the only means at the moment.). So, How Do I Get One For My Favorite Picture? Go to a webpage where you have the picture of you that you want to use, such as your LinkedIn page or maybe your personal profile page at your Lender or Real Estate company site. I'll use my personal LinkedIn page to demonstrate. 2. 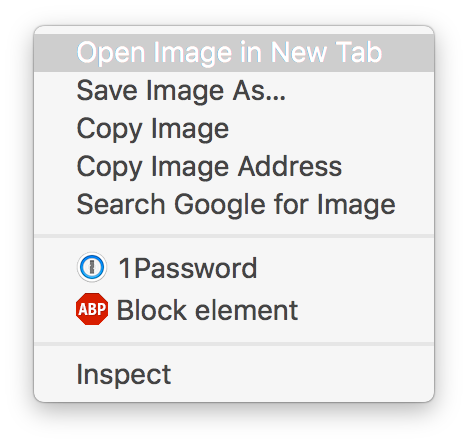 "Open Image In A New Tab"" or "Copy Image Address"
...which will copy that long, unique, cryptic URL for that image to my clipboard. 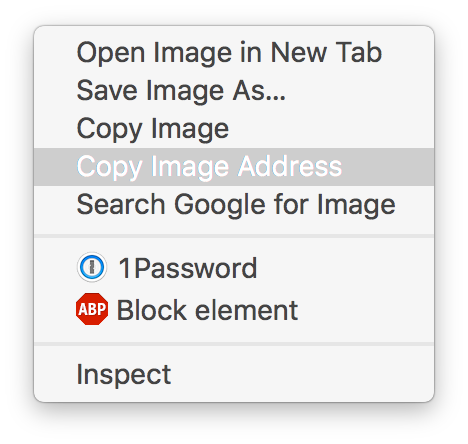 I can then go back to my Homebot Profile and simply paste the image URL into the Photo URL field. (see image below) It's that easy! 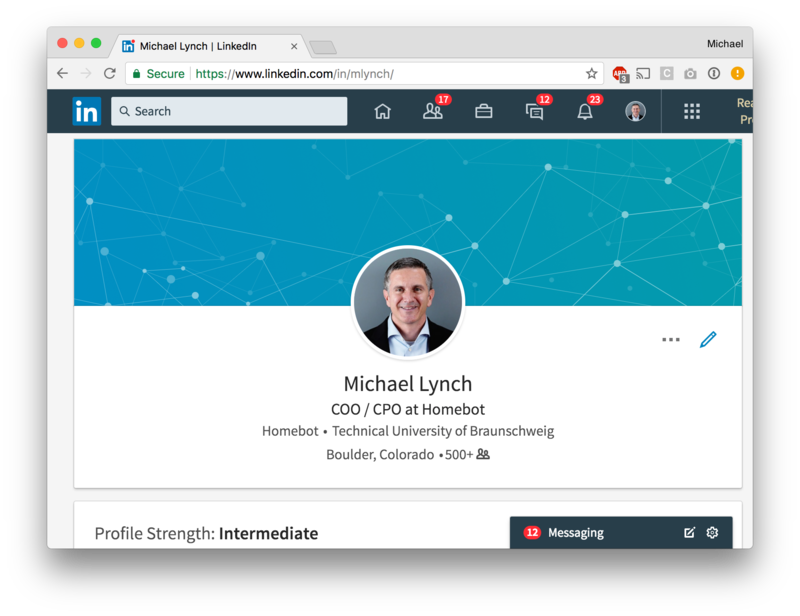 With either method, you have now added your photo to your Profile and that photo will now show on all of your clients' Homebot Digests! By the way, if you can't remember how to get to your Homebot Profile, you'll find it in the upper-right corner of the app when you are logged in. For example, mine is below. Just click your name and your Profile panel will open up. You'll see the "Photo URL" field about halfway down the page. The other place you might encounter the "Photo URL" field is during the new customer signup workflow.